A patient at a hospital in Loveland, Colorado, has tested negative for Ebola after becoming ill when they returned from an Ebola-affected country, according to the Colorado Department of Public Health and Environment. The patient was taken to hospital in a specially equipped ambulance on Wednesday night. After undergoing tests, they were found not to have been infected with Ebola. The patient is being kept in hospital and is being tested for other medical conditions. They were being looked after in an isolated area of the hospital, away from other patients, visitors and staff. Ebola symptoms include diarrhea, vomiting, abdominal pain, muscle pain, fever, weakness and a lack of appetite and can surface from between 2 and 21 days after exposure. The disease is spread via direct contact with blood and bodily fluids of an infected person, and is not spread through air, water, food or mosquitoes. Since the beginning of the outbreak in West Africa last year, more than 10, 460 people are reported to have died, mostly in the three hardest hit countries - Liberia, Guinea and Sierra Leone. 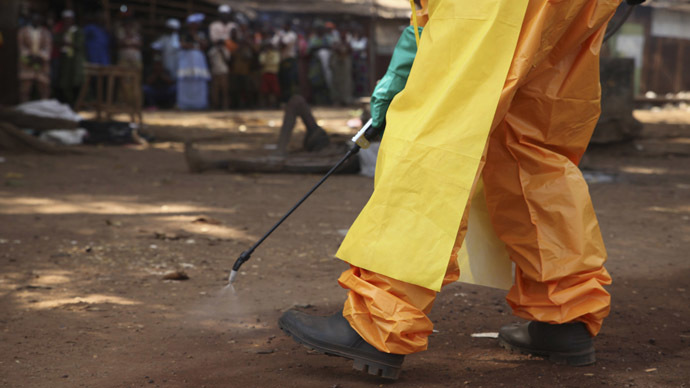 There have been more than 24,750 reported cases of the disease, according to the WHO. However, the figures are underestimates given the difficulty of collecting accurate data in Ebola-affected countries, which are among the world’s poorest. Eleven people have been treated for Ebola in the US with four of them being actually diagnosed positive in the country, while the other seven were medically evacuated from other countries. Two people, both nurses, contracted Ebola in the US while treating an Ebola patient.